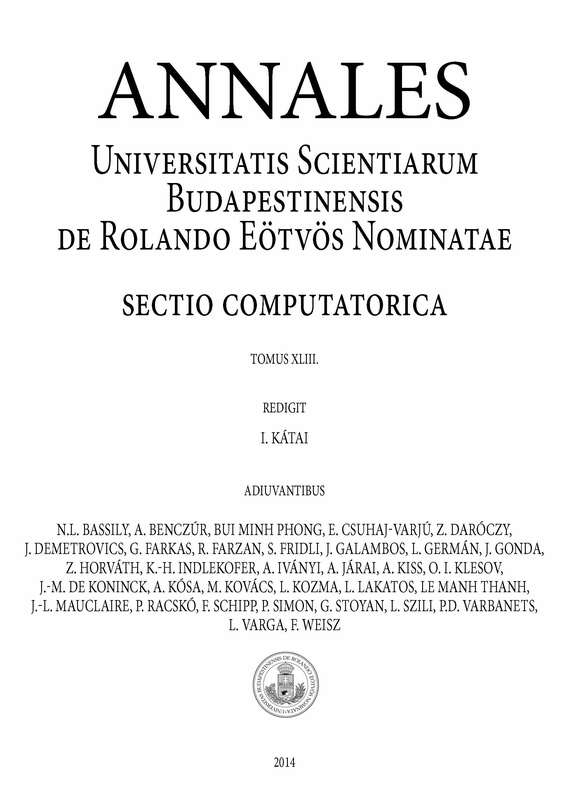 The journal was founded in 1978 by Imre Kátai, dean of the Faculty of Sciences of Eötvös L. University (ELTE), Budapest, Hungary. In 2003 the journal was transferred to the newly established Faculty of Informatics of the university. Two volumes are published annually. Access to full articles in the electronic edition is free of charge. The print version is also available. Abstracted in Mathematical Reviews and Zentralblatt für Mathematik.